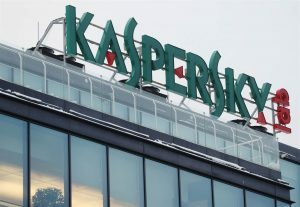 Israeli intelligence spying on government hackers from Russia found the hackers used Kaspersky Lab software that is used as well by more than 400 million people worldwide, including governmental agencies in the U.S., said a media report this week. Officials from Israel who hacked into the network of Kaspersky more than two years ago warned their counterparts in the U.S. of the intrusion by Russia. That led Washington just last month to order the software removed from all U.S. government computers. This week the Washington Post reported that spies from Israel also discovered in the network of Kaspersky, hacking tools that only could have come from the United States National Security Agency. Following its own investigation, the NSA said it found that the tools had been in the possession of the government of Russia, said the report from the Post. Last month, the United States National Intelligence Council finished a classified report it shared with allies in NATO that concluded Russia’s FSB intelligence agency had likely had access to the customer databases at Kaspersky as well as source code. That type of access, it said, could help to enable cyberattacks on U.S. government, industrial and commercial control networks, reported the newspaper. A report in the New York Times said the operation carried out by Russians, according to numerous people, stole classified documents from an employee of the NSA who improperly stored them on his computer at home, which had antivirus software made by Kaspersky installed. It is not publicly known what other secrets from the U.S. the hackers from Russia might have stolen by turning the software of Kaspersky into something similar to Google search, wrote the Times in its report. The newspaper also said that the NSA and White House did not comment, nor did the Israel Embassy, while officials in the Russian Embassy failed to respond to any request to give a comment. In Washington, the Russian Embassy said last month that the ban on the Kaspersky software was regrettable and that it had delayed prospects of restoring any bilateral ties. Officials from Kaspersky Lab have denied any knowledge or involvement in the hacking carried out by Russians. The company said in a prepared statement that it had never helped, nor will help in the future, any government with its efforts of cyberespionage. The CEO and co-founder of the software maker Eugene Kaspersky repeatedly has denied the charges that his company has conducted espionage for the Russian government.